It’s the most fun in the park, when you’re laughing in the dark. When the last Treehouse of Horror event took place, the game was still in its infancy. The maximum level at the time was 22, and the only area players had to contend with was Springfield. Now we have dozens of new characters, buildings, a flourishing boardwalk, and an amusement park. The question that remains is, will this new Treehouse of Horror update take full advantage of these new areas? 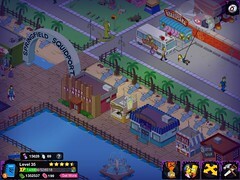 Many players seem split on the idea of Krustyland, preferring instead to focus on one map, rather than split their attention between the two. Would that change if this Halloween update gave Krustyland a spooky makeover? By the end of the day you should have at least 9152 GOO to unlock all ten personal prizes.